Every hard earned success deserves good appreciations. The best way to honour someone's success is by sharing a lovely congratulation ecard. 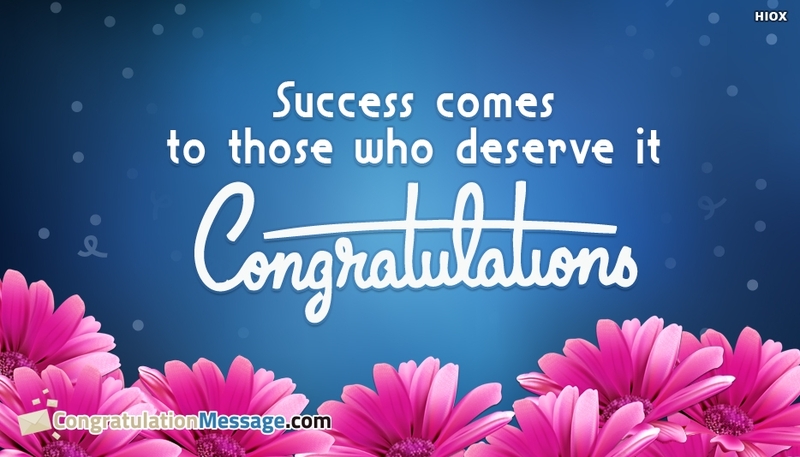 You can use this wish image "Success Comes To Those Who Deserve It. Congratulations" for promotion at work, graduation or any other achievement.